Deputy of Gomel City Council – Igor Karatkevich Deputies received a proposal from the voter to place his e-mail address in the public access. Reception of citizens by deputy once a month is good, but his e-mail on the site City Council to communicate with us – it’s even better. 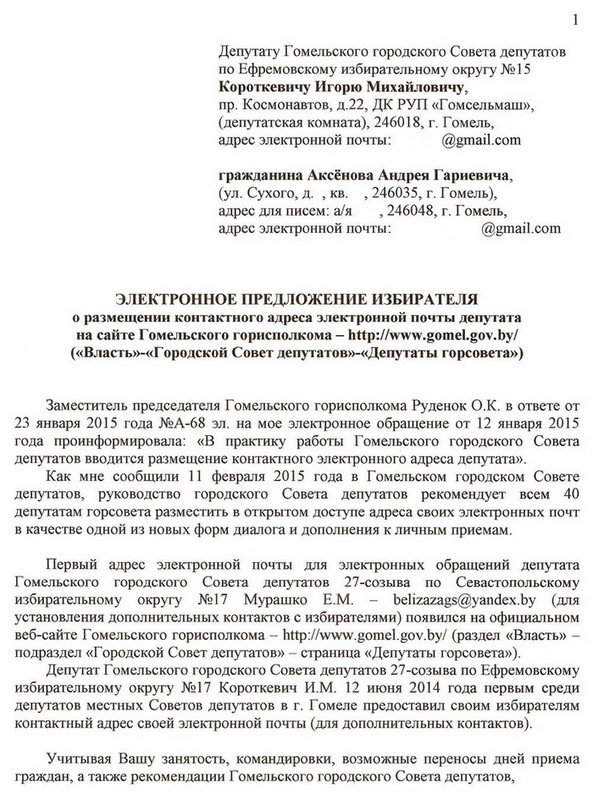 Gomel City Council of Deputies recommends for 39 deputies to place addresses of their e-mails in the public access. «Our House» is attached to this wish. Local MPs, be more accessible! And then your business trips, meetings and the disease will not be a hindrance for constant communication. Ekaterina Murashko, deputy of Gomel city Council was the first among the 40 deputies who posted in early February contact of her e-mail for electronic requests of voters -belizazags@yandex.by. 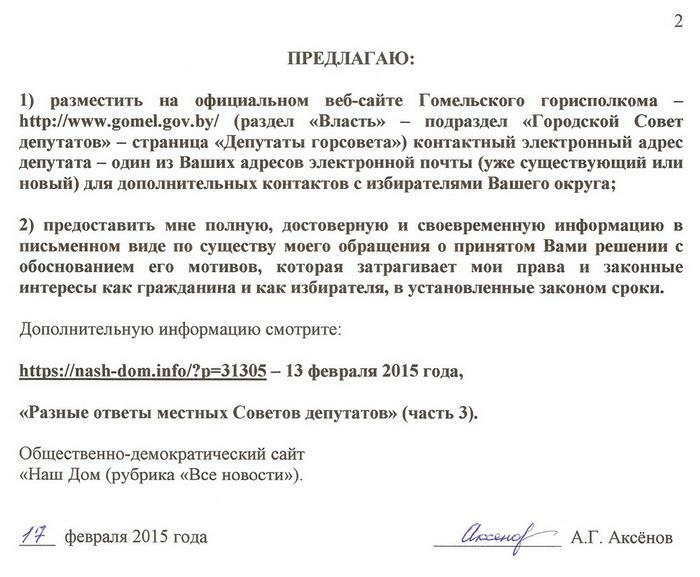 It appeared on the website of the Gomel City Executive Committee – http://www.gomel.gov.by/. Who will be next?